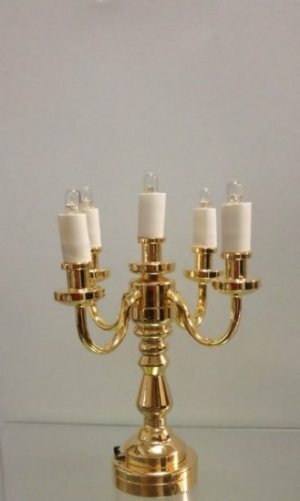 Five-arm brass candelabra is battery operated and uses a super long lasting LED bulb. 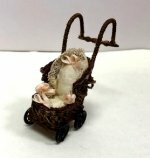 It stands approximately 2.5" tall. The switch is on the base, which also houses the easily replaceable battery.